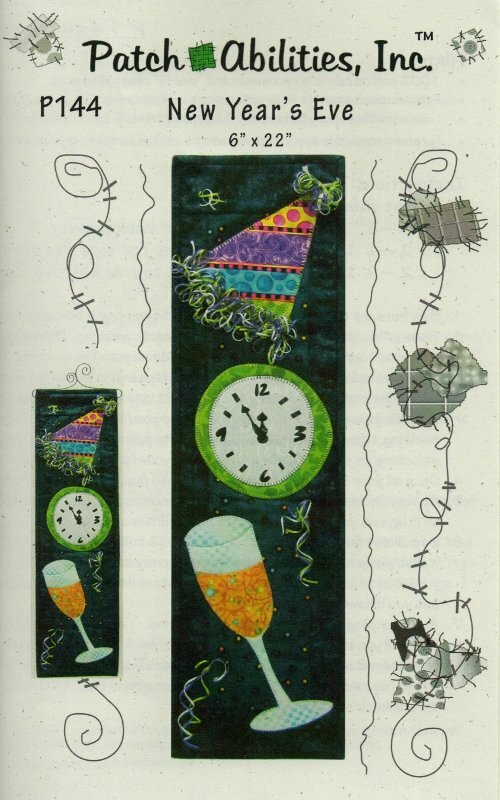 Ring in the New Year with this 6" x 22" wall hanging from Patch Abilities! Perfect for your front door or entry way, wonderful hostess gift, and it can be completely put together in just a couple of hours. 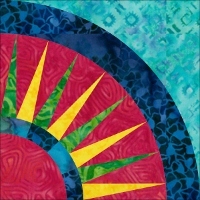 Our complete kit includes all the fabric you need for the top, back, fusible and binding, and includes the batting as well. The pattern includes a template for the clock face - all you need is a Sharpie or black Paintstik (R) to "paint" the numbers and hands. Add some frilly trim to the hat and you're done!